I always knew I wanted to be a mom. I’ve also known since early on in high school that I wanted to be a music teacher. I absolutely fell in love with music education in college, and I didn’t get my master’s straightaway because I just had to get in there, get my very own classroom and get to work. I still love the field, and I don’t regret at all my two expensive degrees and my ten year-career. However, I did underestimate being a working mom (WOHM). I had never considered becoming a SAHM because, a.) that was a thing for rich people; b.) that was a thing in the 1950s, not now; c.) daycare is good stuff; d.) I have a college degree that is tailor made for my career in teaching; e.) I was going to be the woman who did it all- successful career, successful marriage, successful mother. Achieve, achieve, achieve. Besides, I have no right to even consider something like that because I make a good living working 185 days a year. It would be ridiculous to give that up. Dropping kid 2 off to daycare for the first time: SAD! MAD! SAD! Dropping kid 3 off to daycare for the first time: BITTER! MISERY! There’s something particularly asinine about dropping your kid off to daycare, only to spend all day with someone else’s kids. Not saying it’s harder than going to any other job, but I did feel an extra twist of the knife. But, again, I get all those vacations! How could I complain?? But, I did complain. A lot. I hate trying to juggle everything, knowing that nothing is getting the proper attention, and knowing that I don’t or can’t always give my family the best version of myself because I’m unhappy and stressed out. We discussed the idea of me being a SAHM for years. Biggest issue, of course, is being able to afford it. The math doesn’t lie. We finally are at a point where I think we could scrape by on just my husband’s income. So, I’m taking the plunge and pressing PAUSE on my career! I hated to leave my kids and miss the monumental moments, as well as the everyday moments. You know that the daycare people are just telling you “he was really close to walking today!” to make you feel good. That kid waltzed to Strauss across the rug. And as far as the non-momentous occasions, the mundane- I want to be the one that they spend that time with, too. The nearness, the proximity… I crave it from them as much as they may crave it from me. I don’t love my day job. I know, as a teacher I’m not allowed to say that. I feel very guilty saying that. But you know what? It’s ok to say that. As a WOHM career goes, it’s pretty good stuff: I get to teach music to kids, that’s just awesome. And the schedule is very conducive to WOHMs. But there’s some parts that are some serious killjoys in my book. Maybe a pause is in order. 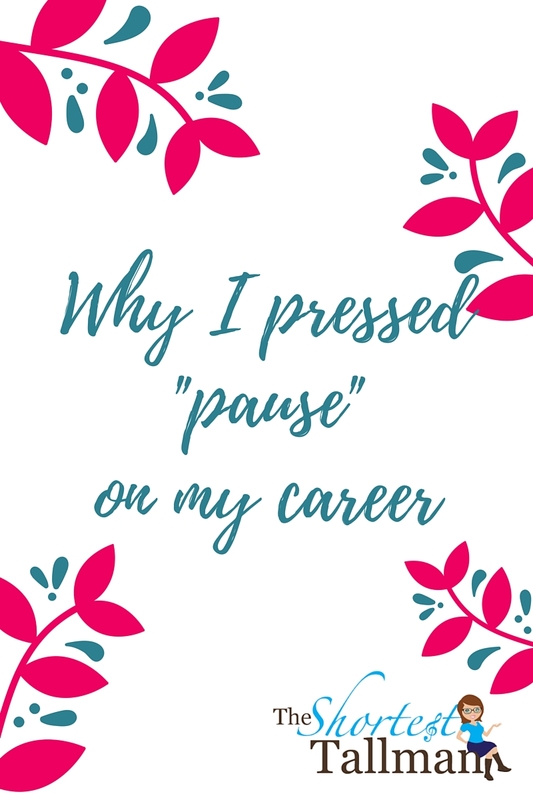 I’ve been at it for 10 years, I think I am qualified to say that a pause would be OK. I hated the struggle to find balance between work and home. I often felt like I was on the verge of a breakdown. If I had a rough day at work, how could I possibly give to my family when I’m barely hanging on? The stress of the unattainable balance is really at the core of my desire to become a SAHM. I was much more at peace on my days off. There’s lots of moms that are itching for school to start- doesn’t at all mean that they’re not good moms. Quite the contrary. There’s lots of moms that thrive on their work environment, and by having that stimulation, they are better able to serve their children, their husbands, and themselves, and how cool is that they are able to be an awesome WOHM and do great things in their careers. For me, I think I have days where that may be the case, but overwhelmingly, I was much more stressed on my working days, which led to stress within my home. I truly, madly, deeply enjoy my time within my home, doing the mundane (is it though?) tasks of running a household smoothly. My mil has said to me many times, “the best thing you can do for your children is give them a happy mom.” After careful consideration, I think this is what would best give them that. For me, being a WOHM adds more negatives than positives. I love being a Mrs. Tallman and all that that entails. The excitement of being part of a family business is indeed exciting to me. I love being the support system. By taking a break, I can have some more beams as my husband’s support system. I love bringing in treats, dropping by for lunch (a perk that I can do that when Grandpa is the boss! ); doing whatever I can to be of help. Now, I’m going to say some things that may make some women twitch- avert your eyes if necessary! 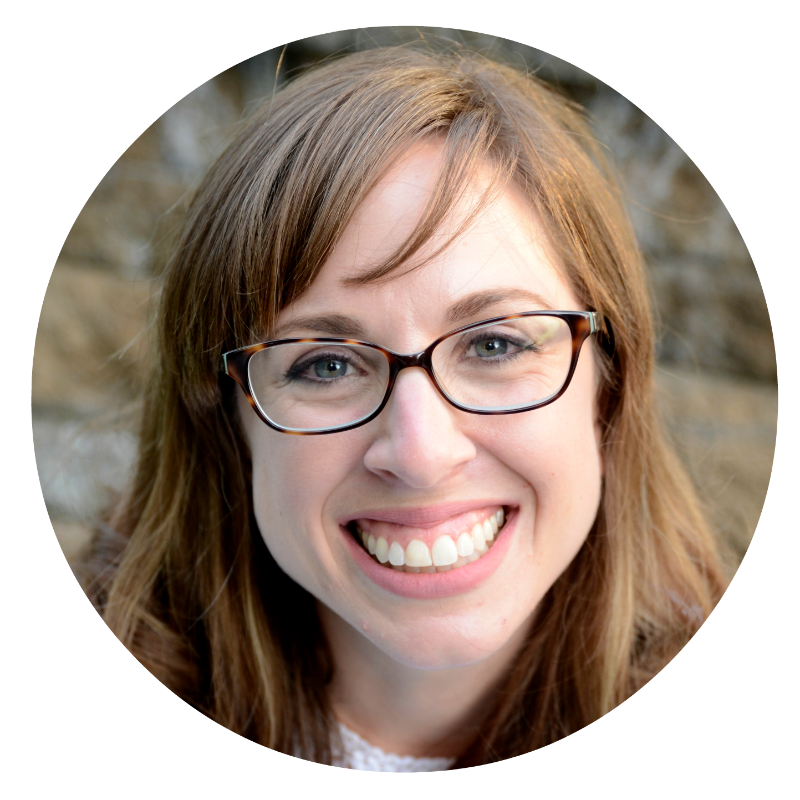 I don’t like that the stress that I carry (because I’m trying to balance work and being a mom) impacts my husband. His job is very demanding- really awesome and exciting to be a part of building something- but, demanding. He carries it well; an easygoing day for him and a day full of putting out fires both bring home the same Tallest Tallman (wish I could say the same for me!). But, I don’t like that our stress pot can be boiling over sometimes. Now for the scandalous part: I actually like taking care of my husband. I like trying to have everything squared away at home as best I can, so he can focus on 2 things: fun time with us when he’s home, and be able to be at work, worry-free, knowing that I’ve got everything covered with the kids on the homefront. Well, 3 things really: he has to fix the internet, mow the yard, get the things off the high shelves, all that stuff. But- crazy as it may seem- if he’s having a stressful day, and I can manage to have dinner on the table for him or quick bake some cookies so they’re fresh out of the oven when he gets home- it brings me great pleasure. I truly enjoy that. If I’ve already given a lot at work, I can’t give as much to my peeps. Again- I can’t say this enough- this is my personal take on it- so many beautiful mothers I know are doing a fabulous job and loving working and motherhood- teachers, doctors, etc. etc. If “the best thing you can give your kids is a happy mom,” whatever makes you a happy mom, that’s the route to go! Kids’ sick days. Holy guacamole, do I need to elaborate? The last minute decisions of who is staying home with who, what can I get away with at work, who has to add stresses to their work day, which grandparent can I use up a favor with today- SUB FREAKIN PLANS. Gahhh. Just the thought of sub plans just agitates me! And, you know, even when they’re with my extremely capable husband or extremely capable grandparent… my kid’s sick, I’m not there.. Mama Bear isn’t feeling real great. Older people I have confided in give me the same message: if you can do it, you won’t regret it. (By “older,” I mean older than me!) I hear the same thing over and over: you won’t wish you spent more time at work. Now, this of course is a fine how-do-you-do if you can’t afford it. Your lifestyle has to match your income, or you need to increase you income. Duh. I have been googling lots of crazy things, “reasons to become a SAHM”; “reasons why working is better than being a SAHM”; “leaving teaching job”; “Why I regret staying at home”; etc. etc. etc. I was trying to get as many perspectives as possible to make sure I was looking at this decision from all sides. What keeps resonating with me is that the opportunity to spend as much time with my children as possible, while they are children, is such a short window in the scheme of life; I think I would regret that time lost, over time lost in my career. We can afford it now. Well, isn’t that really the basis of it all. Leaving your job isn’t exactly something you can just decide to do on a whim. I, and we, had been jonesing for this adventure for a while, and we finally are at a point where we think that we can skate by, having the lifestyle we want, with a single income. It’s not going to be easy at all, but I’m looking at my salary and I’m confident in saying that I’m investing that much money into my family, and into my own inner peace, happiness, and excitement for what the future may hold. I am investing thousands of dollars in being available for field trips and PTA events; rolling around in the leaves on a warm autumn day; impromptu lunches with daddy; morning visits with GG; not searching for childcare options (bazinga); getting my kids both on and off the bus every single day (or even taking them to school! ); you name it, I’m on it. I’m putting my time, talent, and treasure into my family, because, you know what, it feels right, right now. And, besides, I’m just pressing pause for a bit. Nothing crazy here. Just pressing pause so I can smell the roses. And dirty diapers. That could be a great album name: Roses and Dirty Diapers. What work/home balance works best for you? What difficult choices have you made in your career for your family, or vice versa? I enjoy each and every one of your blog posts. However, this one is spot on. Well thought out, full of emotion and importantly reality. I’m proud of you on many levels and I’m looking forward to you shining as the SAHM you have chosen to be. And pause is truly the correct choice of words. Shine on rock star mama! Thank you!!!! Wow! I am pretty pumped, and I’m glad I’ve had you as a positive influence on my life, esp as a mom. Good for you!!! I know this was not an easy decision for you, well, maybe it was, but I know you had to weigh out many things. I think we as moms have to find the right balance for our families. I’m a much better, happier mom now that I have balance with work and home life. I think this a great move for you! Enjoy your “pause” for as long as you can. Xoxo. I enjoy your posts so much! Good for you Maggie! I catch up on you from time to time on Facebook but never seem to comment. Felt obliged to say something this time. Life is way too short to regret not doing the thing that is the most important to you…if you can manage it. You might remember that I took off 11 years to stay home and I don’t regret one minute of it. When I did go back to work, I stayed long enough to be number one on the seniority list when I retired! Who says you can’t have it all? Plus, you never know what life will hand you, make the best of what you have and can get NOW. Best to you and your lovely family.